Hello, all! Recently Luts was nice enough to send me a gift of what I think is an Event Pin set with their logo on it. I've seen Volks pins before, and it got me thinking how fun it would be to collect BJD pins of companies I've bought from! Like a hobby within the hobby! I was wondering if there's anyone else out there who does this, and if anyone knows what other companies have made pins? A search of the word "pins" is too vague. I got a pin from Dollmore, with my Zaoll. 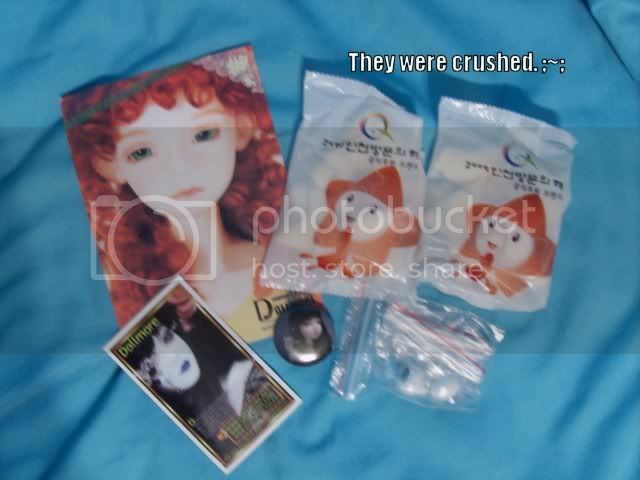 It has the Lusion Black Dahlia on it, this is in only picture I have of it (from the box opening XD; ).